Let’s see, I left you last looking out the front door of my B&B (CAPPABHAILE HOUSE) looking at weathered limestone. Have I ever told you that I cannot get enough of Ireland?? 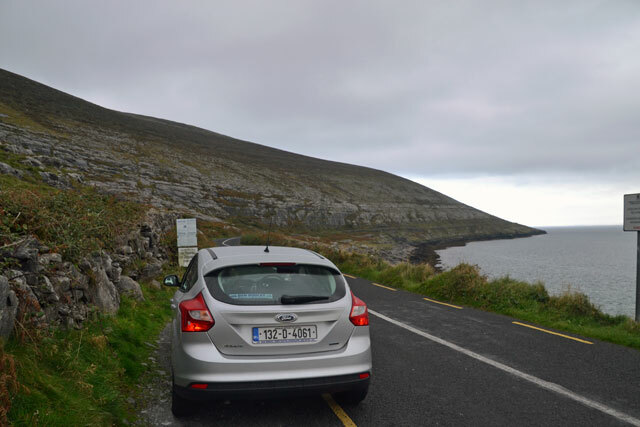 One day in The Burren is not enough! 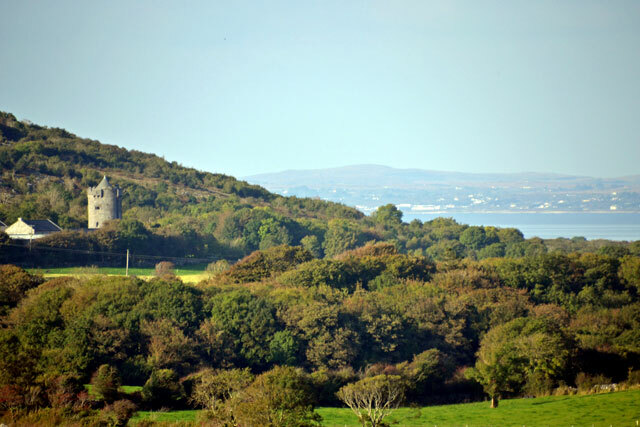 During Crowell’s conquests in Ireland in 1649-52, one of his generals best described The Burren (meaning a stoney place) as “a country where there is not enough water to drown a man, wood enough to hang one, or earth enough to bury him.” It was forested in prehistory, but stripped by man probably 10,000 years ago. It is an area, about 140 square miles, of a limestone plateau formed under an ancient sea. This small area is an archaeological treasure trove of upwards of 3,000 sites including cairns, ring forts, tombs of various types dating many thousands of years ago. More recently, religious orders built many abbeys, monasteries and churches (a couple I showed you before) that date back over 1,000 years with fascinating ruins extant. My host at the B&B, Conor, sat down with me at breakfast, and marked up a map with all the places I had to go to get a good overview. His knowledge of 1,000s of years of area history, plus all the writers and poets who lived in the area making it popular, amazed me, and I am glad I can remember enough to want to learn more. He even loaned me 4 books to read to further whet my appetite (I already have ordered 3 of them). Conor and his wife built their B&B 12 years ago, but it looks like an old farmhouse, which inside is a spacious luxury accommodation. I will digress — quality B&Bs are a bargain in Ireland. Two have cost me (for a single – slight surcharge as usual) 50 Euros a night, and one is 45 Euros (50 Euros is about $67 USD). I don’t mind paying $125 for a US B&B that is clean and unique and finely appointed, and I am good at finding them. Food however, overseas, is more (maybe because tax is included?) The prices of meals here look similar to the US, but the 17.95 Euro dinner is really over $24USD). Now, fuel, Americans have to stop complaining. I love my small 6 speed diesel, and there is a reason — 1.49 Euro for a liter of diesel would equate (I will do the math for you) to $5.63 USD for a gallon of fuel. I have “Ray’s Review of Roads,” too, but I will save that for later. 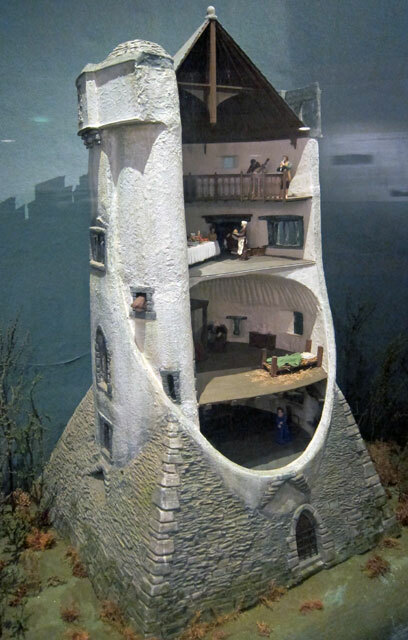 Model of Newtown Castle I saw in the Burren museum at Kilfenora. Click to enlarge so you can see method for relieving yourself. I will trust that you have your map of The Burren in front of you. 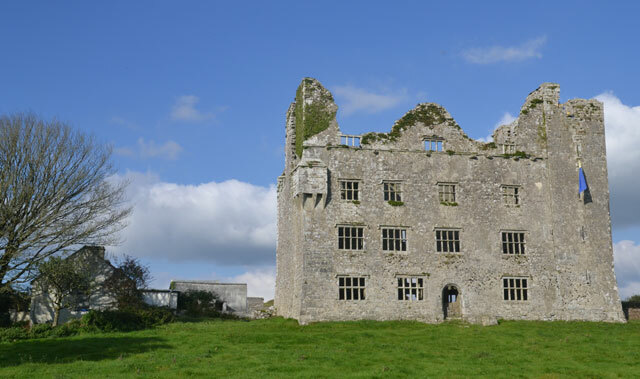 Conor had me start at the Newtown Castle right behind his place, and then head up to Galway Bay to head to the northwestern tip at Black Head. 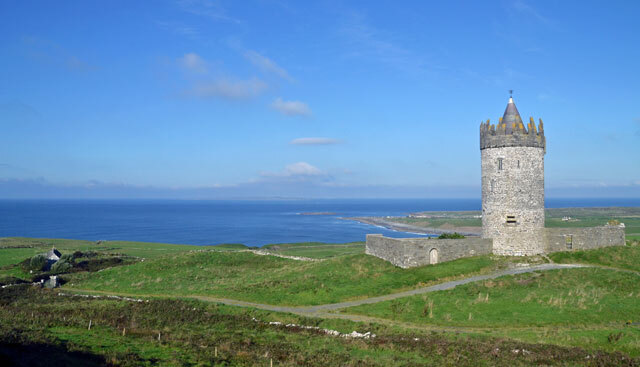 As I climbed the hill out of Doolin I saw the Doonnagore Castle. Then around some hills to The Cliffs of Moher at the southwest end of the peninsula (for lack of a better description). As you will see in the videos (two different), it was an overcast day. I stopped at the center, which was not crowded, because it is something you have to do. But the best views you will get will be in travel travel promotional films. But it is something you have to do. 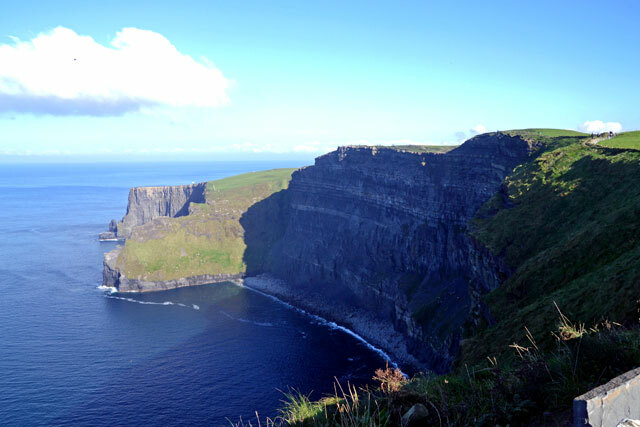 The northern end of the Cliffs of Moher from the visitor center. And here is something you are not supposed to do !!! 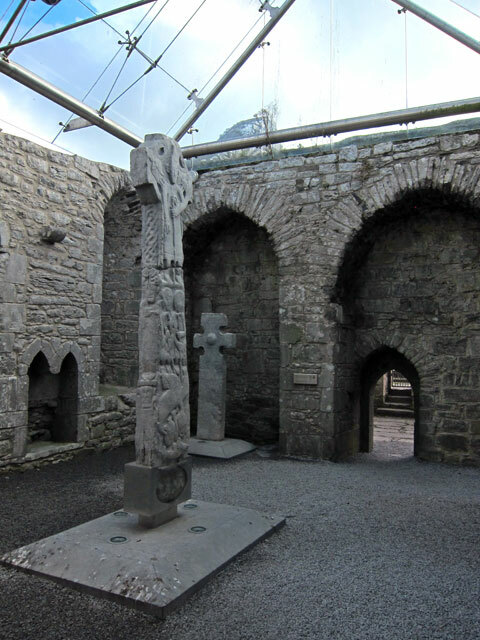 I enjoyed the Burren Centre museum at Kilfenora even though it is small (but concise), and then explored (and photographed) the 11th and 12th century Cathedral and Crosses adjacent. Twelve foot cross almost 1,000 years old, restored from two broken sections. And down the road a piece at my turn to repeat my trip across the top of The Burren is the Lemanagh Castle. 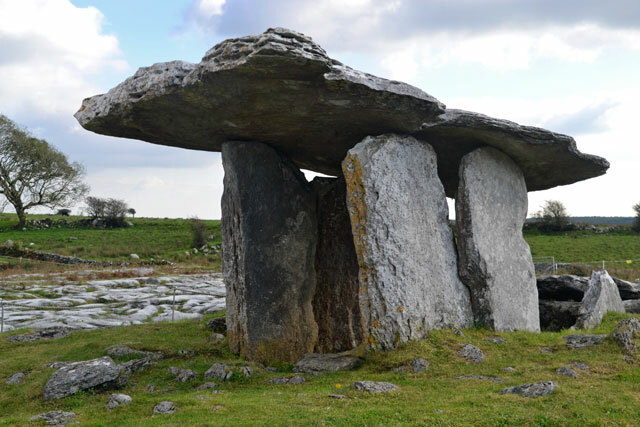 R480 is the route I recommend, and the high point is the Poulnabrone Portal Tomb, dating to about 3600 BC, and the most photographed megalithic monument in Ireland (remember in June I gave you the most photographed Lighthouse in Canada?). This hollow in the limestone indicates a cave that collapsed. The acid in rain causes the limestone to dissolve. Again, rain water’s effect on the limestone causing wonderful effects. Note the sign. Remember my Vermont video recently with the rock piles in the river? Not here! 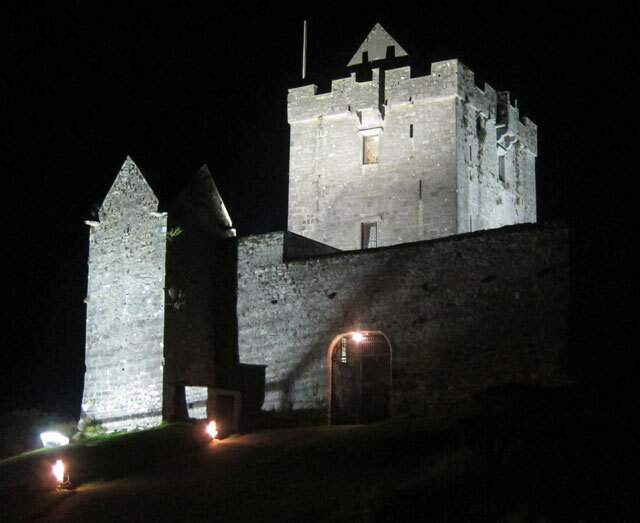 And I completed my introductory tour (need to find an archaeology program to attend here) in time to scoot off to Kinvara to attend a medieval banquet at the Dunguaire Castle which is a 16th century tower house. Read about this in the Rick Steves’ guide, it is just one of those must do silly fun things. Greeted on the lower floor with music and mead. King and Queen for the evening. The show begins in between servings. My wonderful table companions: an Indian couple from NYC, and a young lady from Tokyo. Spoons were not used, so we lifted out soup bowls to slurp and drink away. Following the desert course a full show went providing tales and anecdotes about history and writers and poets who have made the area famous. 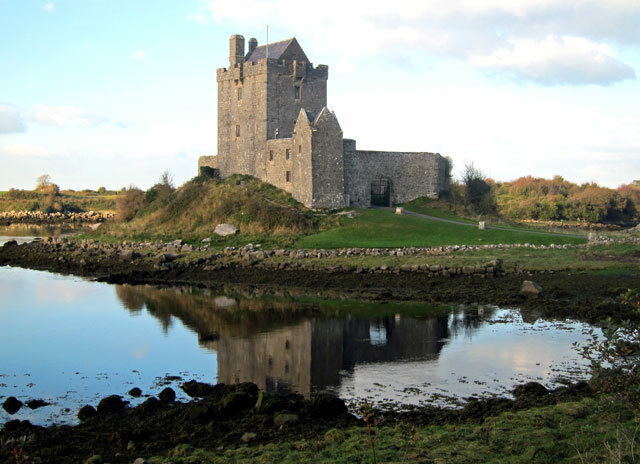 2) Attend the Medieval Banquet at Dunguaire Castle (equidistant from Galway and Ballyvaughan), or attend the affair at Bunratty Castle closer to Limerick. 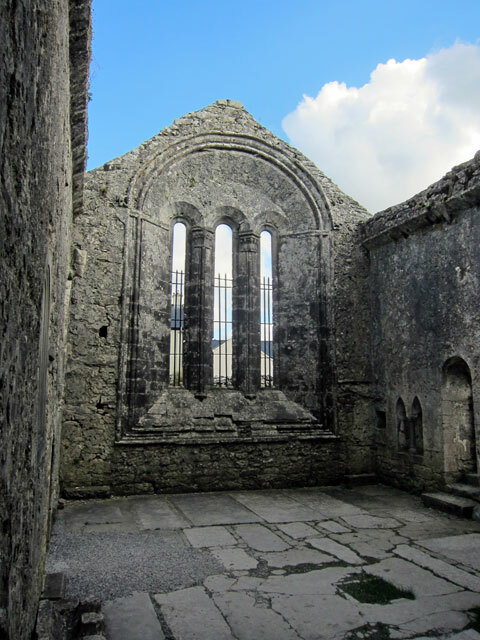 This entry was posted in 2013-c - IRELAND 2013, Uncategorized and tagged Doolin, Dunguaire Castle Banquet, Ireland, Newton Castle, Poulnabrone Portal Tomb, ray boas, Shunpiking, The Burren. Bookmark the permalink. Thanks, so much, you hit on all my favorite spots from my trip. 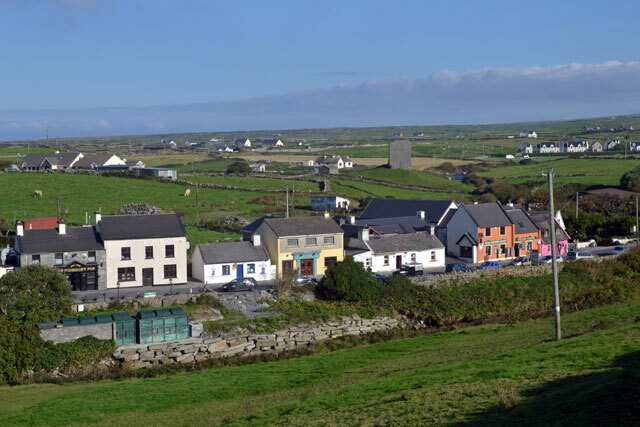 Loved that village of Doolin, we stayed at a B&B called Doolin View. Wow – this is awesome Ray – thank you so much for sharing this. Loved the village Doolin also. Ray, the Cliffs of Moher are breath taking. Love the village also. Thank you for sharing. You are so lucky and we are lucky to travel along with you. Dunguaire many many years ago. 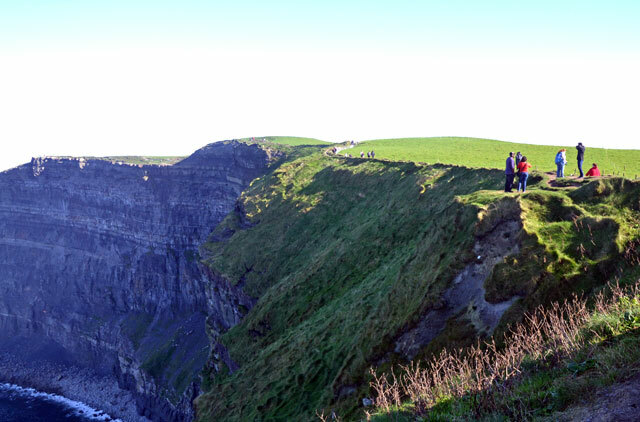 Did you go up O’Brien’s tower at the Cliffs of Moher? splendid views from there!